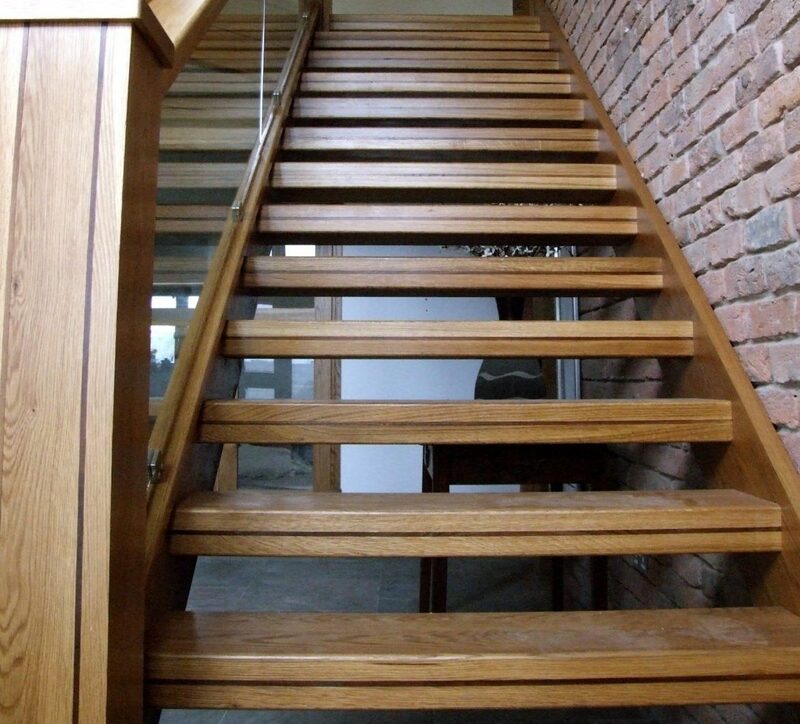 At Edwards & Hampson we manufacture and design bespoke staircases made from a variety of woods, however one of our most sought after materials is oak. 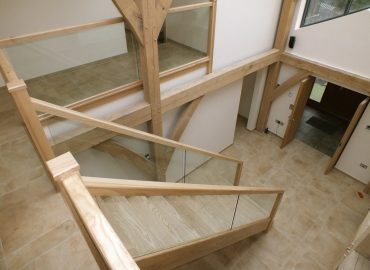 We design manufacture and install oak staircases nationwide and we offer a complete design service in your own home, or you can visit our showroom to see our wide range of oak staircases that also feature ornate or modern spindles, as well as varying types of glass.Oak has a very rich and widely celebrated history. It is a timber that is praised for its great strength, caused by a very high density that has made it one of the best natural building materials available. However Oak is also a beautiful natural material with reputation of quality. 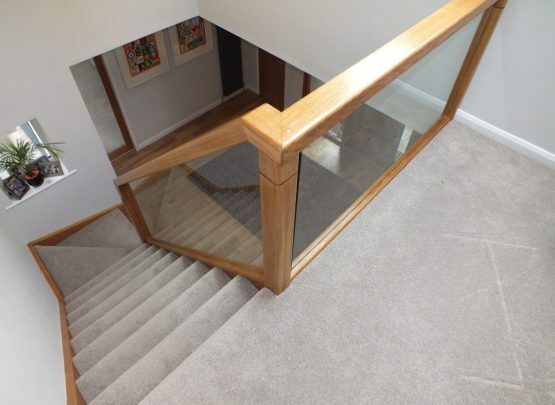 With this in mind, choosing Oak for your staircase means your home can quite often be radically transformed visually which often adds significant value to your home. 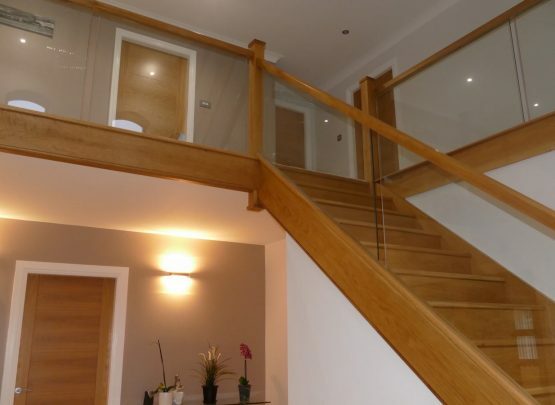 We specialise in helping you to design an Oak staircase that creates a memorable first impression when you walk in through the door. 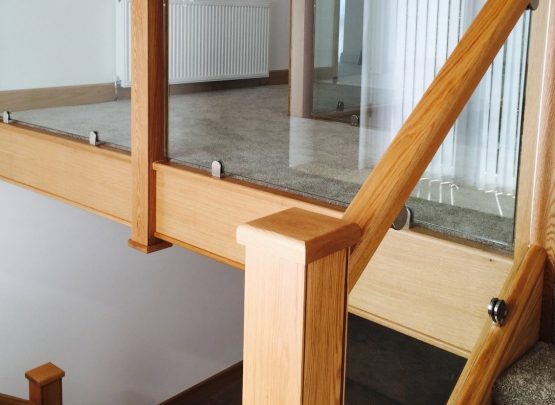 For these reasons oak has become one of the most popular and prestigious materials to feature in our business and it has been for more than 40 years since we started. Our gallery features some of the nation’s best hallways, showcasing oak staircases of all designs, styles and sizes. Have a look at the staircases we have made and see whether you think oak is a material that can give your hallway that prestigious feel. At Edwards & Hampson we specialise in all types of timber and oak is defiantly a sought after yet reliable material. 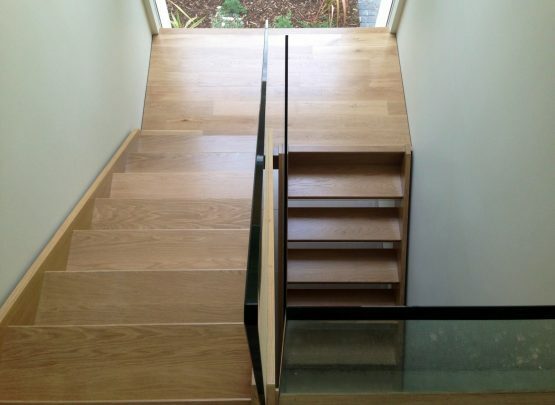 However there are alternatives that have similar properties to oak, yet can be up to 20% more cost effective. Ash, a material equally suited to staircase design, is another hardwood with similar characteristics to oak, yet with a lighter shade. Ash, being lighter, is more susceptible to shade alteration and can therefore be colour matched to become an oak or even a walnut alternative. Just to say the stairs look fabulous they look better than I imagined them. The Oak doors look great. We get lots of comments and compliments on the stairs and doors. Thank you and your colleagues so much for all your hard work and craftmanship and The Oaklands sign you made for us is a lovely finishing touch and very much appreciated.